"There will no longer be any attempts to speak about a ceasefire from our side. We will now see how Kiev reacts. Kiev doesn’t currently understand that we can advance in three directions simultaneously". Jacob Dreizin, a US citizen who speaks Russian and reads Ukrainian provides a DNR perspective that he has seen. Background for Zakharchenko's "no more ceasefires" statement stems from rebel disappointment back in August when Moscow forced the rebels to the negotiating table in Minsk, Belarus. The rebels gave up some territory around Mariupol at a time when Ukraine army was retreating, and in complete disarray. This could have been a great opportunity for Kiev to come to its senses and accept a political solution. However, the Ukraine side openly and repeated stated that the so-called ceasefire was just a tactical move prior to building up the forces and going back on the offensive. Then Kiev announced a 4th wave build-up of 50,000-100,000 troops. In that context, Zakharchenko is telling the world that the Ukrainians blew their second chance, and there will be no more opportunities because all Kiev has done is move to strengthen its forces. Zakharchenko’s patience has run out especially considering nonstop bombardment of rebel-held cities. 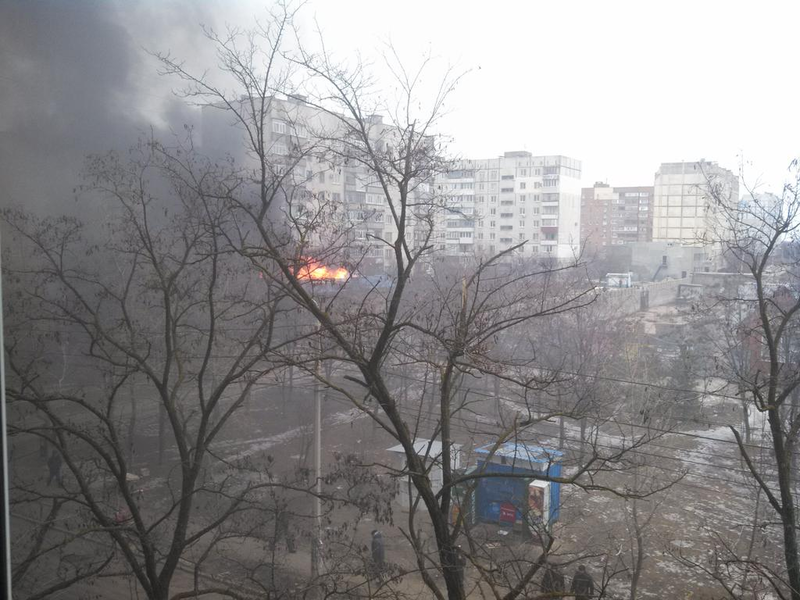 Today Zakharchenko announced the battle for Mariupol is underway. Also, to the North the Debaltsevo cauldron is closing and 7,000 to 8,000 Ukrainian forces will be trapped (encircled). 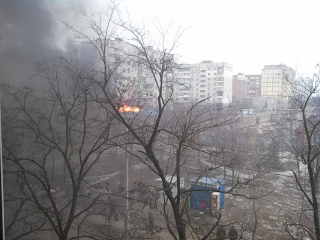 Here are some images and text regarding the attack on Mariupol from Colonel Cassad. Colonel Cassad writes ... "This morning our forces continued their attempts to sever an exit path for the Debaltsevso-Group of Ukrainian forces. 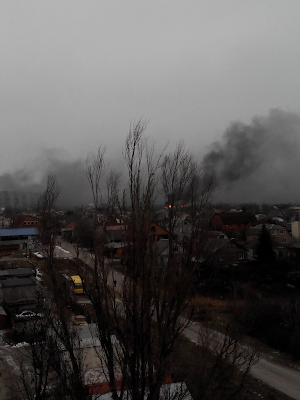 Encirclement failed so far, but according to reports, our artillery began to pound the main road leading from Debaltsevo to Svetlodarsk." That paragraph is in reference to the about-to-be trapped Ukrainian forces around the city of Debaltsevo (the Debaltsevo cauldron). 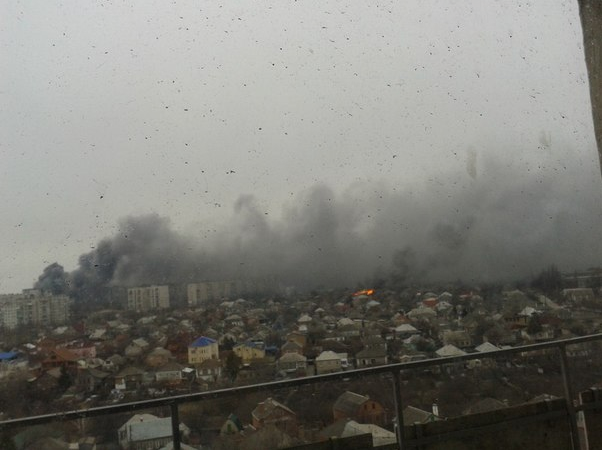 From Stratfor: Red Alert: Rocket Fire Could Signal New Offensive on Mariupol. In contrast to the analysis from Stratfor, it seems to me the major offensive started yesterday with the warning from DNR president Alexander Zakharchenko "Kiev doesn’t currently understand that we can advance in three directions simultaneously." The intent of Zakharchenko is to take and hold the entire Donetsk region. And it appears he will be able to do just that unless the US intervenes in a major way.